How Much Alcohol Is Too Much? – You Will Never Exceed the Limits After Knowing The Effects! We must all admit that self-control is really hard and we being humans land ourselves in a trouble zone because of exceeding the limits of certain food intakes. But I must warn you, there is an immense need for you to know how much alcohol is too much, come what may! Not knowing the limits of alcohol can be so dangerous, there is a huge probability of being prone to a disease called alcoholism which is long-term, that which intensifies over time and in most cases is untreatable! In fact, the surge in alcohol dependency rate is such, there are 10 people who lose their lives for every 60 minutes because of the health disorders that occur due to excessive alcohol consumption and more than 17 million people living in the United States are persistent drinkers. What Makes Alcohol So Desirable And Addictive? Why Alcohol Makes You Dizzy And Walk Unsteadily? Here Is The Exact Limit! Know How Much Alcohol Is Too Much! Why Should You Drink Alcohol Only After Meals? What Happens To Alcohol In Your Liver? There are undoubtedly many sources to comfort you when you feel low and heartbroken! But, why do people choose alcohol to get rid of the pain and feel normal? All the activities that take place in your body, right from simple ones such as breathing, blinking, hearing or complex processes like digestion, circulation or excretion occur because of certain chemicals called neurotransmitters present in our brain that signal our bodies to do so. It is the presence of ethanol in alcohol that plays tricks with these neurotransmitters present in our brain, and you know the rest of the story! When the chemicals in our brain are out of control, we lose our minds! Self-control is out of our hands and we become so addictive, our longings are never-ending and we keep quenching our thirst of addiction until we feel satisfied! Dopamine which is a kind of neurotransmitter is released when we indulge ourselves in activities that make us feel pleasurable but a continuous stimulation of this feel-good chemical can decrease the release of dopamine. So, alcoholics end up drinking more and more to experience the pleasure and happiness and end up being addicted in an attempt to feel pleasurable. it is quite interesting to know that neurotransmitters are of two different types! The ones (inhibitory) that help in making us feel soothed, eased and relaxed and second type (excitatory) which function towards making us feel excited and much attentive. When you drink alcohol, the action of excitatory neurotransmitters gradually decreases and the excitability is essentially reduced by one main inhibitory neurotransmitter called GABA (Gamma-aminobutyric acid) whose activity increases while drinking. 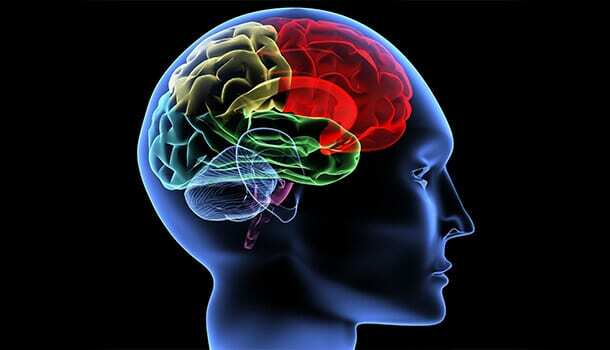 So, as we have already discussed, when the action of an inhibitory neurotransmitter increases, it makes us feel more relaxed, more soothing and as the activity continues to increase, it makes our brain passive and abnormal causing dizziness, loss of consciousness, unstable and forgetful! Have you been drinking too much? If yes, there is an immediate need for you to know how much drinking is too much(1) and take the necessary action so that you do not get subjected to the effects of drinking alcohol. Also, you can check with the signs of alcoholism and effects of drinking alcohol that I have mentioned below, to know whether you are in a safe zone! You must note that the limit is for healthy adults who are not diagnosed with any health disorders. How much alcohol is too much in a day? – Stop limiting the intake if you have been drinking more than 3 units of alcohol per day. One unit of alcohol is equivalent to 10 ml. So, on an average, you should not be drinking more than 30 ml of alcohol per day. How much alcohol is too much in a week? – If you have a habit of drinking alcohol every week and are confused about how much alcohol is safe to drink per week, note that you should not drink more than 21 units of alcohol in a week. Since 1 unit of alcohol equals 10 ml, you should prepare yourself to not drink more than 210 ml of alcohol per week. The limits of safe consumption have been mentioned because it takes approximately one hour for our body to completely process 10 ml of alcohol and get back to a healthy metabolism. If you exceed the limits, your body may take much time to process the alcohol and the excess alcohol which is high in concentration hits your bloodstreams and stays there for longer periods of time which disturbs the overall functioning of your body. A complete processing of alcohol implies that no amount of alcohol remains in your blood and setting the limits of alcohol intake ensures that you metabolize the alcohol as soon as possible! It is highly recommended to drink alcohol only after your meals and not on an empty stomach because this is what happens to your body when you drink alcohol on an empty stomach! The alcohol passes into the blood vessels that are present in your mouth as well as your tongue. The functioning of your brain changes within 5-10 minutes of alcohol intake due to the chemical changes that occur because of ethanol present in alcohol. A small percentage of the alcohol (approximately 20%) of alcohol gets absorbed into the blood and the remaining alcohol passes into your stomach and this is where a major impact occurs. The perks of drinking alcohol after meals are that the alcohol can get absorbed by the food present in your stomach due to the enzymatic activity that breaks down the alcohol helping in a better absorption. On the contrary, when you drink on an empty stomach, the alcohol directly moves into your intestines and the alcohol in bulk gets absorbed into your blood and an excess blood alcohol as you know takes a lot of negative toll on your health and wellbeing. Knowing the aftermaths and consequences of drinking alcohol is what I found really interesting and astonishing at the same time. Here is a simple explanation of what alcohol does to your body! We have already discussed the impact of alcohol on dopamine release and the most important neurotransmitter called GABA. We have also seen what happens to our body when we consume alcohol on an empty stomach. Let us dig deeper into the scientific process that takes place in our liver, after consuming alcohol. Our body cannot contain alcohol for long periods of time and it looks for various ways to get rid of alcohol by metabolizing it step by step. Step – 1 – The main reason behind experiencing hangover symptoms is a compound called acetaldehyde that is formed when ethanol (present in alcohol) Is broken down by an enzyme called dehydrogenase. This conversion of ethanol to acetaldehyde takes place in your liver. Step -2 – An enzyme called acetaldehyde dehydrogenase is now responsible for breaking down acetaldehyde into acetic acid. Step – 3 – Acetic acid has to be finally converted into water, fatty acids and carbon dioxide all of which are going to be utilized by your body. But, the fact is, our liver has its own capacity for converting alcohol into the end products. So, if you consume alcohol in excess amounts, your liver will process the alcohol until it really can and the excess alcohol remains in your blood unconverted and intact. A small amount of alcohol enters your lungs and very little amount of this alcohol is liberated through your regular breath which is why breathalyzers can detect the alcohol content in your blood. A little amount of alcohol (approximately ten per cent) gets excreted through your urine and a minute quantity gets absorbed by your skin. Before looking deep into the signs of alcoholism, one important fact that should be noted is that most of the people who are suffering from alcohol abuse or excessive alcohol consumption have started drinking at an early age (from the age of 14). Experiencing a blackout which is a temporary loss of consciousness or experiencing a loss of memory. Isolating oneself from friends and family and relatives. Choosing to drink over taking up responsibilities. Experiencing hangover symptoms even when you are not drunk. Lying about drinking(3) habits and keeping the habit a secret. Making excuses to miss out on important events and choosing to drink instead. A poor performance at work or a very low productivity at work. Defending oneself by giving unreasonable excuses on drinking habits. Disability to get rid of alcohol. If you are under a wrong perception that drinking makes you look cool and chilled out or if you feel that being a teetotaler (a person who never drinks alcohol) makes you looked down like an old soul by the so-called modern society, here is how boozing may hit you in the long run! Now that you know how much alcohol is safe to drink, learn how dangerous it is to exceed the limits of consumption by knowing what does alcohol do to your body! Drinking too much can impact your cardiovascular health in two ways! Firstly, it causes your blood pressure to rise drastically which is going to increase the risk of heart strokes. Excessive drinking can hamper the basic functioning of the heart, which is to pump the blood to various organs of your body. This happens because the muscles of your heart get weakened and you may develop a risk of being succumbed to a cardiovascular disease called cardiomyopathy. Also, drinking too much can make you overweight or obese which is again one of the major reasons for developing heart strokes. Drinking out of control can lead to the formation of an unhealthy tissue. This is formed at the cost of a healthy liver tissue the actual function of which is to absorb the fats and produce bile juice. Some liver diseases (such as alcoholic fatty liver disease) that are caused due to excessive alcohol consumption are reversible. You can get back to your normal health condition if you stop drinking for at least two weeks. A persistent drinking habit (drinking continuously for eight years or more) or sometimes even less can lead to alcoholic liver cirrhosis and this stage is the final stage of liver disease that has begun with a alcoholic fatty liver disease. It is impossible to get back to normal health once a person suffers from alcoholic liver cirrhosis but, medication can help the victim to survive. The main function of the pancreas is to absorb glucose from the foods, convert these sugars into energy and provide the energy to the cells for an active and healthy functioning. 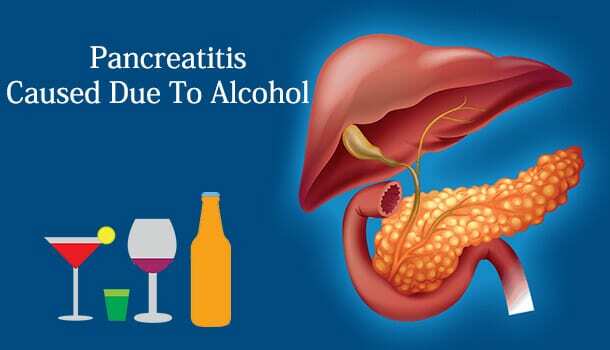 It is astonishing to know that almost seven out of ten cases have been reportedly diagnosed with a condition called chronic pancreatitis and the main reason for this being excessive alcohol consumption. There are however two stages of pancreatitis which are acute and chronic. This is the first stage wherein the pancreas gets inflamed but they can still function if necessary medication is provided. There are a very few cases of acute pancreatitis that may be too severe. One can easily identify acute pancreatitis if he experiences the symptoms such as a high fever, nausea, vomiting, severe pain in the abdomen which can also spread through the back. Neglecting these symptoms and continuing to drink will eventually lead to a condition called chronic pancreatitis which is irreversible. The disease caused due to excess alcohol consumption is so dreadful, it can put the person at the risk of developing diabetes or even cancer. 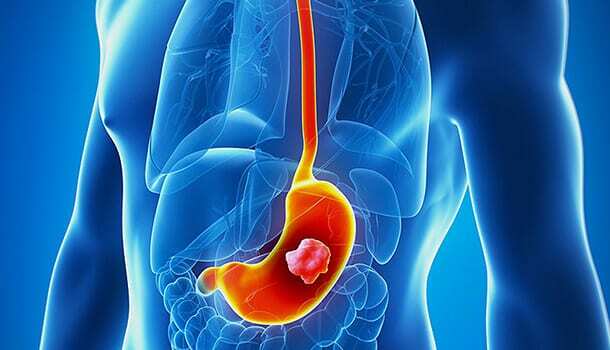 It is quite understandable to know that chronic pancreatitis causes diabetes because the major function of pancreas is to produce the insulin hormone that converts the glucose into energy and this is going to get affected which lets the glucose (a type of sugar) to remain intact in the blood causing a rise in the blood sugar levels. Sometimes chronic pancreatitis can also lead to the formation of pseudocysts in the pancreas which is difficult to get recognized through any signs or symptoms. Most of the times, effects of alcoholism are only described in terms of physical effects, but not much emphasis is laid on mental and emotional health that is ruined due to alcohol abuse. Knowing how much alcohol(4) is too much and Knowing the limits of consumption is necessary because, when you know the limits of safe consumption, you will drink in moderate amounts which is perfectly safe and healthy. Exceeding the limits will extend the symptoms to irritability, a persistent feeling of sadness, and fatigue or in worse cases bring troubles in relationships. Being addicted to the habit can totally wreck your emotional stability and cause sleepless nights, hallucinations, anxiety and depression, the symptoms which are difficult to recover from. Behavioral Changes – If you have ever closely observed a person suffering from alcoholism, you will be able to observe some negative shades of their personality such as egoism, development of an aggressive behaviour, being selfish and lack of a moral behavior. This is because of the chemical changes that occur in your brain which compel you to behave in a certain way that is totally out of your control. Dysthymia due to alcohol –Alcohol abuse can cause a mental disorder called dysthymia which can be recognized by the symptoms such as low self-confidence levels, inability to concentrate and depression. Pregnant women are prohibited from consuming alcohol and the consumption even in little amounts is said to bring about several birth defects which may increase the risk of certain chronic disorders such as obesity or diabetes in the new born. This is because, as a completely developed human being with well-functioning bodily systems, we may have the ability to process the alcohol, but once the alcohol reaches placenta, it gets accumulated in the fetus since the fetus does not have the capability to break down alcohol into further simpler components. A health survey from Denmark proved that most of the men and women suffering from pneumonia have been heavy drinkers. Men and women who were contacted for filling up the survey were asked to give the exact alcohol intake and about 4% of them who said that they would drink more than 6-12 drinks per week were diagnosed with pneumonia. This is because the count of white blood cells decreases due to excessive drinking which weakens your immune system. This will lead to the symptoms of pain in the chest, a severe cough and a high fever which can also be lethal at times. Most of the alcoholics are given vaccines to prevent being affected with pneumonia. You must essentially know how much drinking is too much because, the fact that alcohol raises the risk of cancer is not dependent on the type of alcoholic beverage that you choose, but it depends on the amount of alcohol that you have been consuming. If you cannot really stay away from drinking, you may be get succumbed to any of the following types of cancers that may occur due to binge drinking! When you drink alcohol, the ethanol present in it is broken down into acetaldehyde which is majorly responsible for damaging the DNA of the stem cells and changing the genetic structure of the DNA (mutation) which is the main triggering cause of cancer. Some studies say that it is the formation of reactive oxygen species, formed as a result of drinking alcohol which may, in turn, change the structure of DNA resulting in cancer. 8. 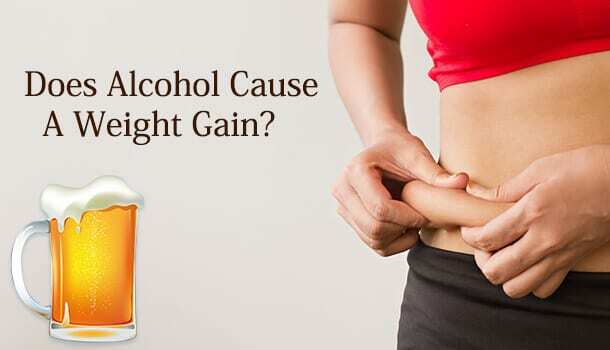 Does Alcohol Cause A Weight Gain? Though alcohol affects your mental health and shows a negative impact on almost all the organs of your body, most of the people are worried about their physical structure that might get deformed due to excessive alcohol consumption. While drinking in moderation is safe which is why I have mentioned how much alcohol is too much at the beginning of the article, exceeding the limits definitely increases your weight in the following ways. First, it is the calories in alcohol that makes you put up the extra weight because a pint of beer which is around 2.3 units contains the same amount of calories present in a slice of pizza that is of large size. This can be estimated to be around 197 calories. Secondly, alcohol gradually breaks down into various end products and fatty acids are one among these products. So, it is very obvious that the more you drink, the more will be the fat storage or fat accumulation in your bodily tissues. Also, alcohol makes you feel hungry because of the release of agouti-related protein by the neurons which signals your brain to eat more though your stomach is full. You will develop a habit of binge eating which makes you obese and makes you gain excess weight within a short period of time.